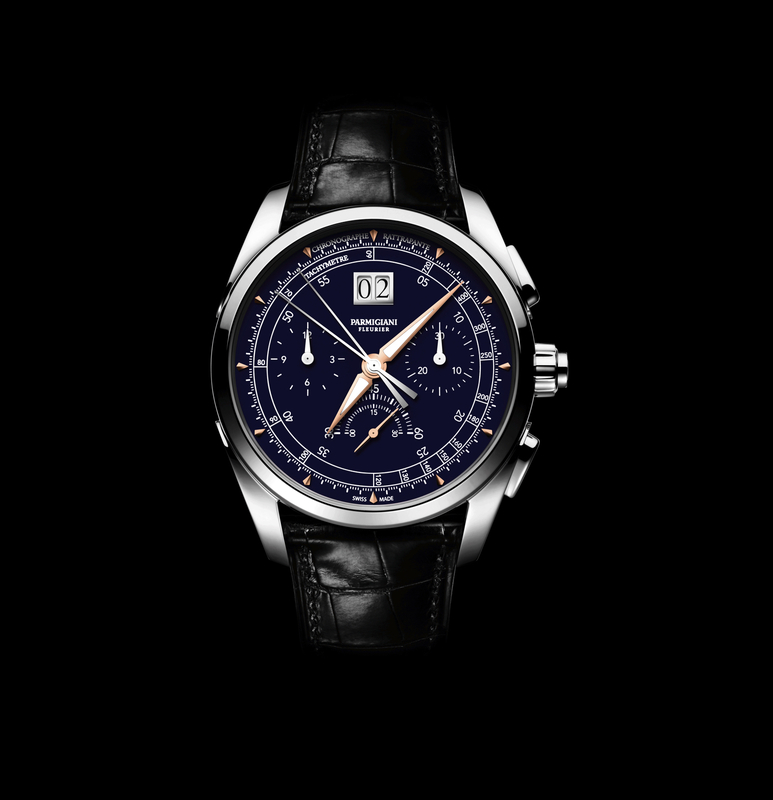 To celebrate its 20th Anniversary, Parmigiani Fleurier developed a very special timepiece, powered by the manufacture’s first integrated chronograph – which they debuted at SIHH. First, the movement is made of 18K rose gold, which significantly complicates the production process. Everything from milling the plates to finishing the bridges is more difficult than the typical movement material, which is brass of nickel. The machines have to be recalibrated, thus, everything takes longer. In the end, it is worth it, though, as the results are stunning. Second, as mentioned above, this is the brand’s first integrated chronograph, a feat that cannot be underestimated, especially considering many watch companies will never reach this pinnacle. Adding a module on top of an existing chronograph is the alternative to an integrated chronograph, which adds thickness to the movement, and is far less pure than building it as a chronograph from the start, as opposed to an afterthought. Third, this is no ordinary integrated chronograph, it is actually a split seconds chronograph, which is far more complicated to manufacture. 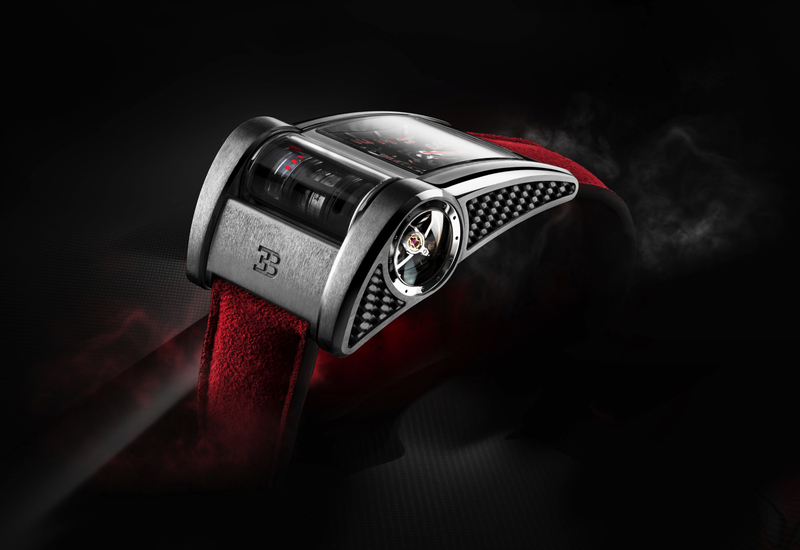 Moreover, a vertical clutch is used in combination with dual column-wheels, one for the chronograph and the other for the split-seconds function. A column-wheel is smoother than a cam operated chronograph, and a vertical clutch is more accurate and has less jitter when starting and stopping than a horizontal clutch. 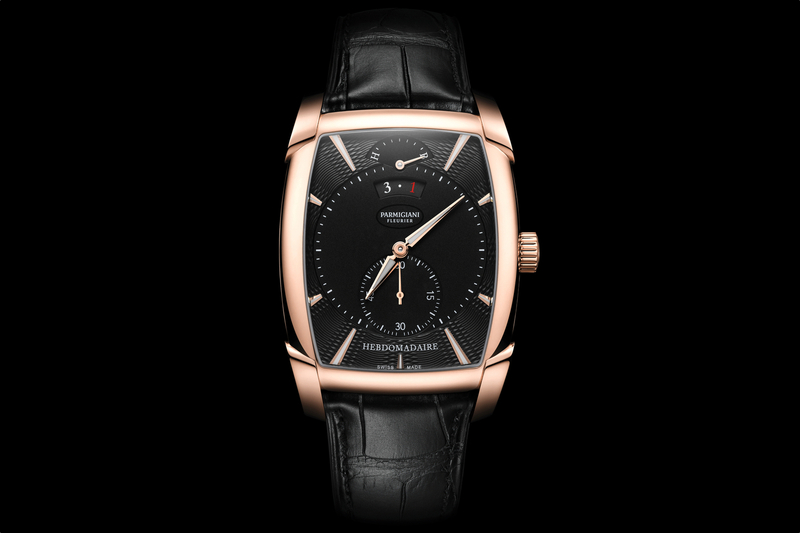 Needless to say, Parmigiani Fleurier’s configuration uses the most premium configuration. Finally, this is a 5Hz (36,000 vph) movement, which is more accurate and allows the chronograph to measure times with 1/10th of a second precision. Another notable design feature is that the balance bridge is the cross-through type with two connection points, which reduces the chance of affecting the movement accuracy due to shocks versus a balance with a single connection point. Using the ”grand feu“ enamel technique, both the white and blue dials further add to the craftsmanship and luxuriousness of each timepiece. The Parmigiani Fleurier Tonda Chronor Anniversaire is presented in a 42.10 mm x 14.6 mm, fully polished case, with a 7.2 mm crown, and water-resistance to 30 meters. The back is engraved with the individual number. Rose gold Delta-shaped hands with a luminescent coating indicate the hours and minutes. The pointed, facetted hours indexes are 18K gold and have been polished to stand out on against the background of the dial. Just inside the hour chapter ring, are minute, chronograph seconds, and tachymeter scales, all in black, and added during the enamel dial production process. At 6 o’clock is a double sided small seconds hand that continuously rotates. At 9 and 3 o’clock are the 12-hour and 30-minute chronograph counters, respectively. And at 12 o’clock is a large, double aperture date display. 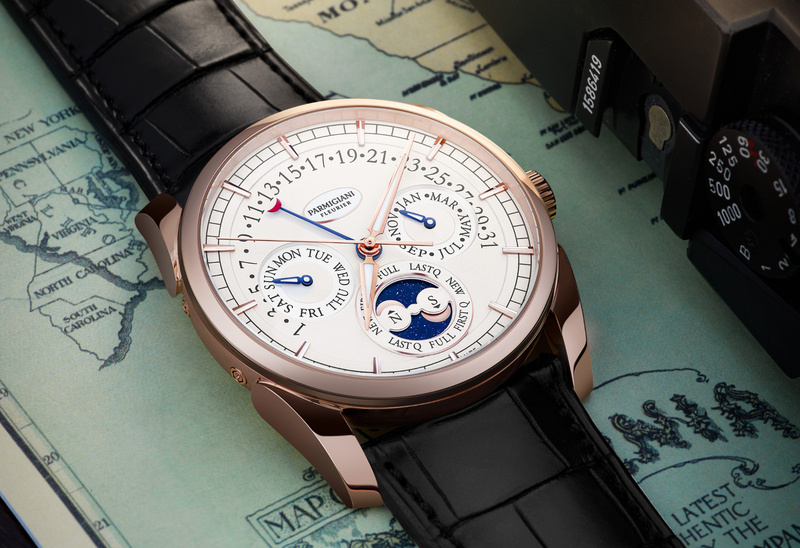 The Parmigiani Fleurier Tonda Chronor Anniversaire will be available in four configurations: white gold with white dial, white gold with a white dial, white gold case with a blue dial, rose gold case with a white dial, and rose gold case with a blue dial. A black or brown Hermès alligator leather strap, with Ardillon buckle matching the case, finishes off each piece. Each version is limited to 25 pieces. Ultimately, producing an integrated chronograph is a huge milestone for any manufacture – especially with such premium design, materials, and finishing. Although this should come as no surprise as Parmigiani Fleurier is one of the most vertically integrated watch companies in the world.